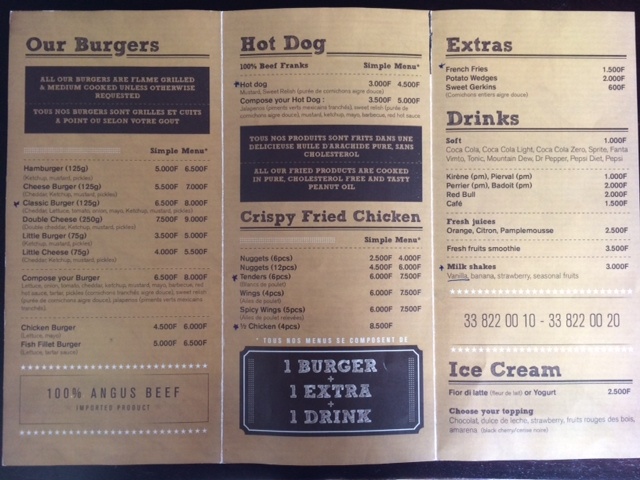 A very kind Dakar Eats reader emailed photos of both the old and new Classic Burger menus for us to see the updates. Thank you, R.K.! Added a Kids Box meal for 5000cfa. Dropped the prices on 75g burgers by 1000cfa. 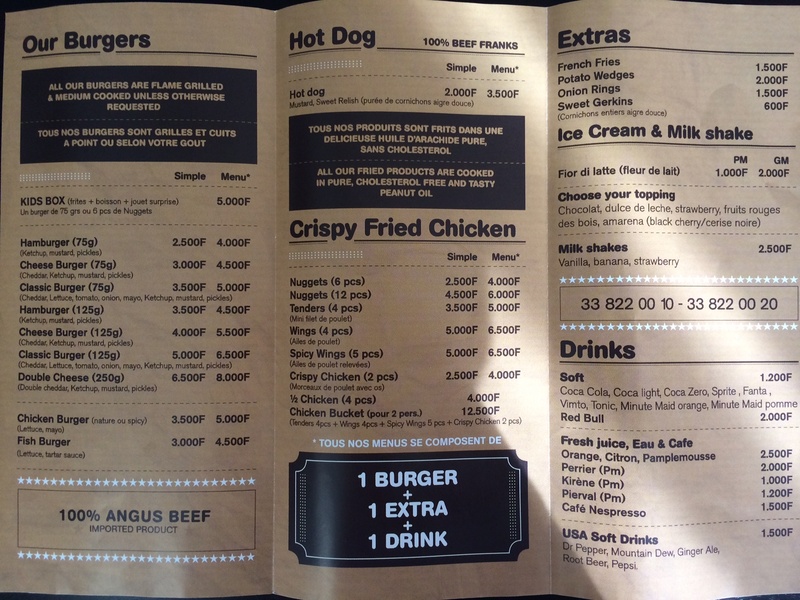 Dropped the prices on 125g burgers by 1000-1500cfa. Dropped the price on chicken burger by 1000cfa. Dropped the price on the fish burger by 2000cfa. Dropped the price on hotdogs by 1000cfa. Dropped prices on wings by 1000 cfa. New options for fried chicken and tenders. Added onion rings to the ‘extras’ menu. Increased price of soft drinks by 200cfa / USA soft drinks by 500cfa. Open Monday-Saturday from 11:30am to 3:30pm and 6pm to 11:30p. Sunday 5pm to 11:30pm. Prices are still way too high: $13 for a meal? Their hot dog is the best I’ve had in Dakar though.